Many folks do not understand why invasive species issues are so important. By becoming a member, your contribution allows us to accomplish our mission by educating Wisconsin citizens about the threats of invasive species and their effects upon the economy, the environment, or to human health. IPAW is Wisconsin-based and has approximately 200 members. These members include researchers, foresters, landscapers, horticulturalists, agronomists, prairie restorationists, aquatic ecologists, and concerned citizens. Our members come from nearly every academic discipline and many different public, private, and nonprofit institutions. Join us! The Invasive Plants Association of Wisconsin is a 501(c)(3) non-profit organization. Your membership and/or donation is always tax deductible. If you would like to pay your annual dues by credit card (new members, please make sure to fill out the Registration Form), simply submit your payment below. IPAW Thanks You for Your Support! Did you know your purchases can make a difference? If you would normally shop at Amazon, please choose AmazonSmile instead. 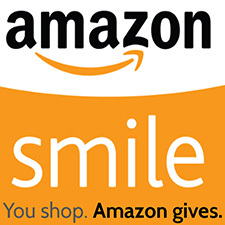 AmazonSmile donates to IPAW when you do your shopping.